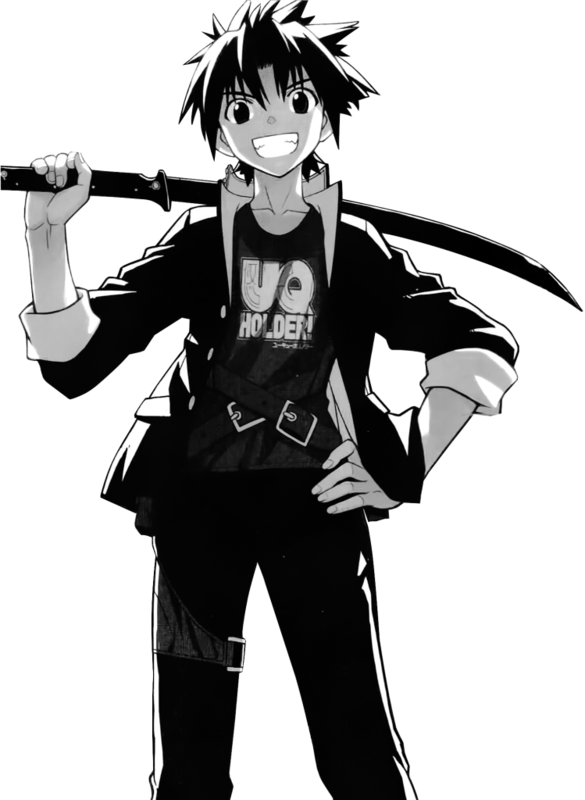 Personality: Gincho is generally outgoing and optimistic, and is mainly looking to have some fun with being a ninja. Not super serious about it, but he puts in effort. Firm traditionalist. Weapon(s): Gincho carries standard ninja gear, and a heavy training sword. Fighting Style: Gincho is quite good with the standard ninja gear and beginning jutsus, but isn't very skilled at all with his sword. Additionally, he has a beginning level mastery of the Iai-Ken flying fists style, which mimics the draw techniques of a sword and sheath with the fist and pocket, sending the chakra from their fist flying outwards at increased speeds. At his level, the range is about 8 feet. These are only usable with the users hands in their pockets, and prevents them from punching normally while using it. Gincho was born as a younger son in one of the small ninja families of Kiri, and so received some training, but was never the focus of a whole lot of attention or expectations. He grew up leading a fairly relaxed and cheerful life. However, somewhat contrary to the general lightheartedness of his family life, his parents were fairly strict traditionalists, firmly believing in the old ways of Kiri, and made an effort to instill those values into all of their children. When he entered the academy at around the standard age, he did so with both a relaxed and determined mindset. While he didn't particularly care if he became a great ninja or just an ordinary one, if he made it, he intended to shift the village back on track. After starting his training, his father took a bit more interest, teaching him the family's personal, but not exactly secret Iai-Ken technique.